The Xinjiang government has banned tourists from glaciers under the far north-western province’s five year plan to try and save its fast disappearing ice caps. 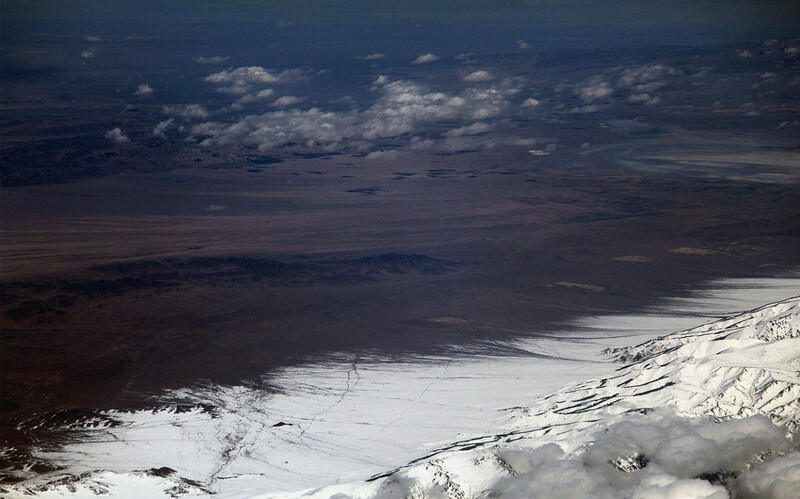 Home to China’s largest glaciers, the far north-western Xinjiang province has seen its glaciers recede sharply in recent years. 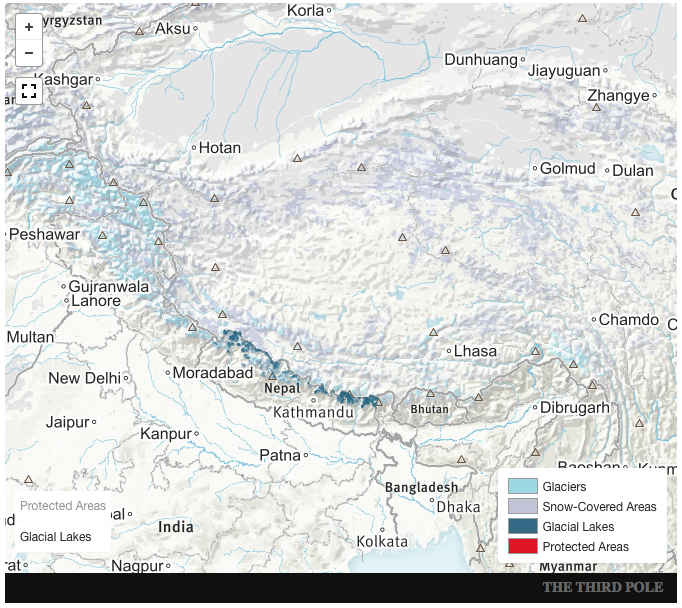 Receding glaciers across western China, a source of the Yellow and Yangtze and most of Asia’s major rivers – threaten the water sources for millions of people. Xinjiang is the first region in China to impose such a ban and officials say that tourism revenues have been insufficient to offset the huge environmental costs. But Chinese scientists warn that global warming is main cause of glacier retreat and the tourism ban will do little to reverse the trend. 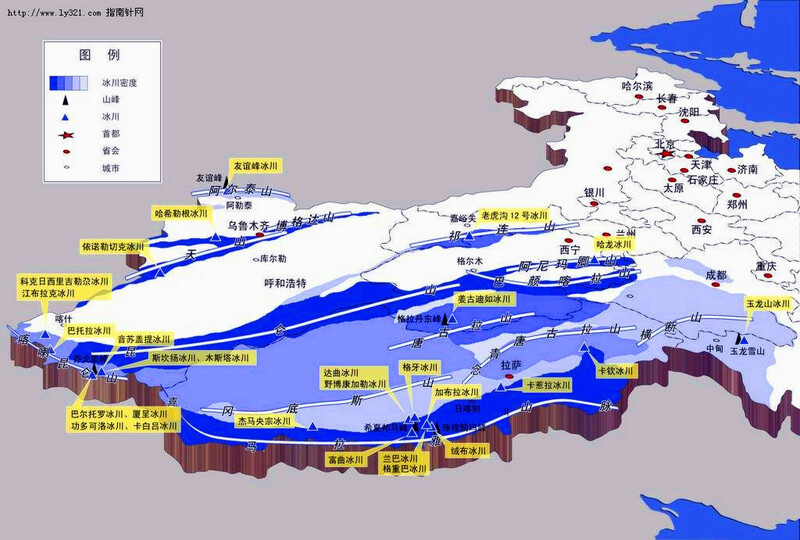 Xinjiang covers one sixth of China’s land surface and contains 47% of nation’s ice stock. The region’s glaciers have been melting at an alarming rate where temperatures are rising at three times the global average. 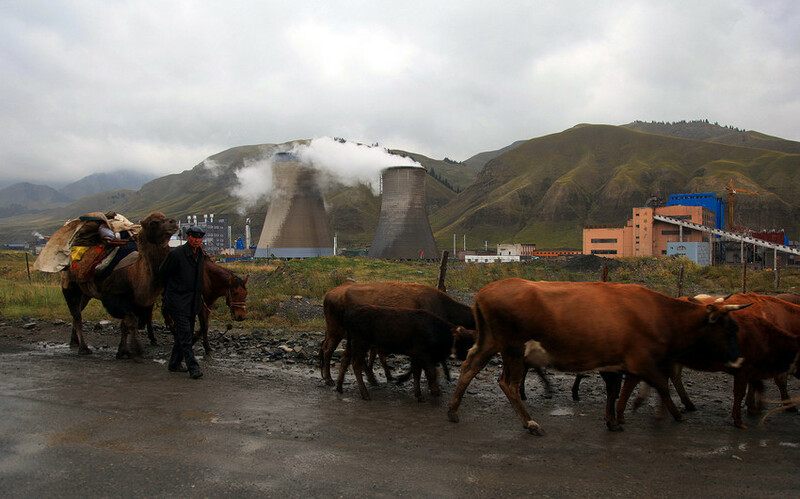 In the past 30 years glaciers in the Tian Shan mountain range – the water tower of central Asia – have shrunk by 15-30%. The famous Tian Shan No.1 glacier is the major source of water for Urumqi, the provincial capital only 50 kilometres away. 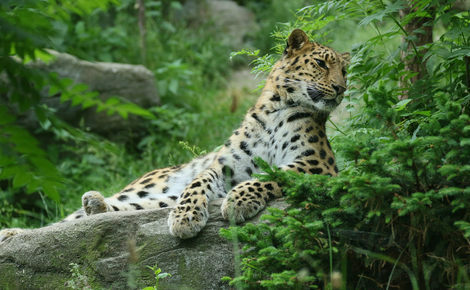 It is more than 4.8 million years old, but it may not last much longer. The glacier lost 15 metres in height between 1958 and 2010, with the speed of the loss accelerating after 1980. In 1993 the glacier split into two. 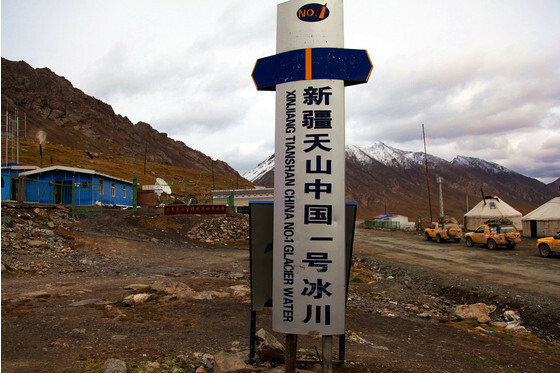 The government first banned visitors to the glacier in October 2006 in order to prevent pollution of Urumqi’s main source of water. 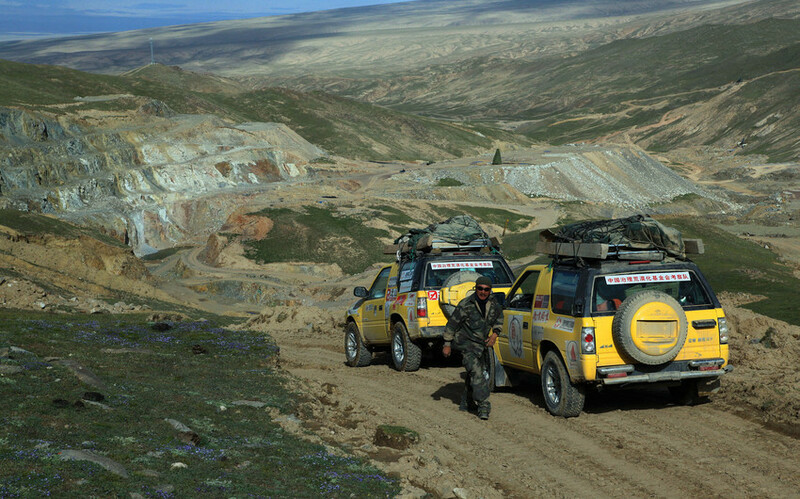 In April 2014, authorities set up a nature reserve in the region to stop mining and restrict vehicle use in a bid to reverse glacier loss. But the results were disappointing. 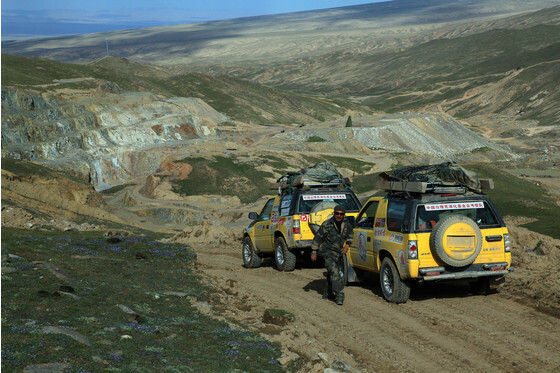 Glaciers are “solid reservoirs” in dry regions such as Xinjiang – a rugged landscape of mountains, forests and deserts. 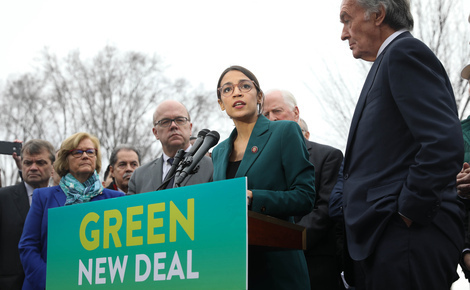 In the long term, shrinking glaciers have a major impact on river flow, with a grave impact on the region’s green belt – a major source of agriculture and, increasingly, cotton. The combination of melting at the base of the glacier and the weight of ice and snow above also leads to sudden avalanches and icefalls. 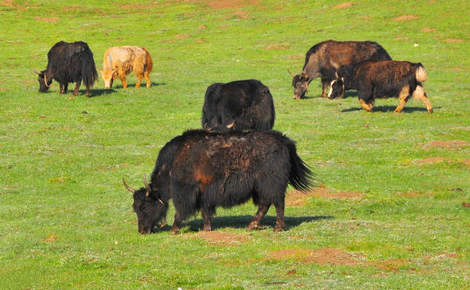 Last year the region lost 15,000 mu (2,500 acres) of pasture land due to glacier avalanches. 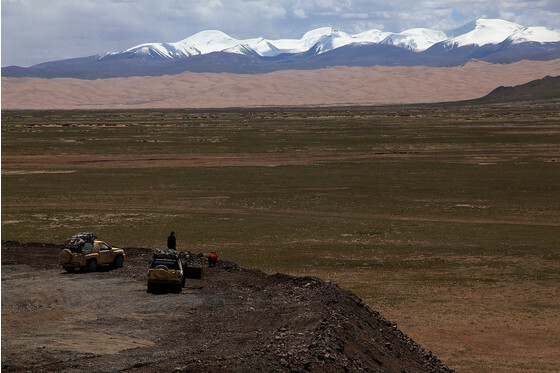 Glaciologists have observed glaciers in retreat across western China. The second national glacier inventory published in 2014 found that glaciers in western China have shrunk by 18% since the 1950s, an average loss of 244 square kilometres a year. 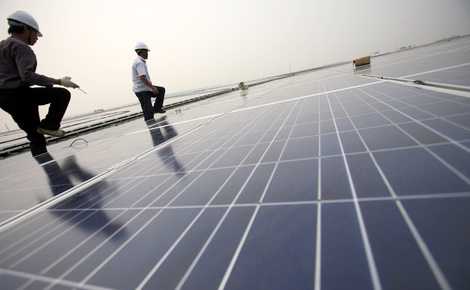 The eight year study by the Chinese Academy of Sciences showed China currently has 48,571 glaciers, covering 51,480 square kilometres and containing 5,600 square kilometres of ice. 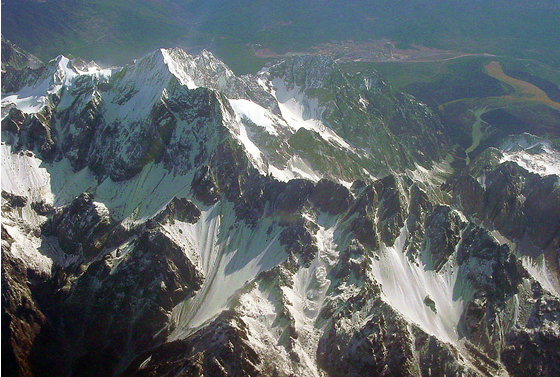 Apart from Xinjiang, most of these glaciers are situated on the Tibetan plateau. The Himalayas and surrounding mountains feed the Yangtze and the Yellow river – as well as Asia’s major rivers such as the Indus, Mekong, Salween and Brahmaputra. 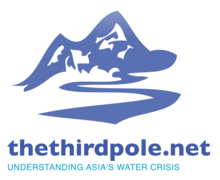 Global warming is responsible for the significant retreat of the Himalayan glaciers, said Kang Shichang. 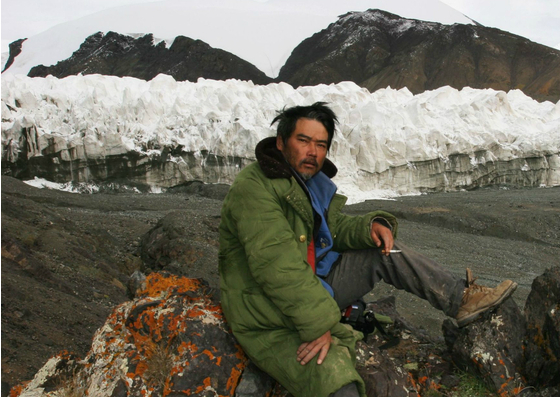 He is the chief expert on the Himalayan Region Climate Change Assessment Project and glaciologist at the Chinese Academy of Science, and has compared those two national glacier surveys. 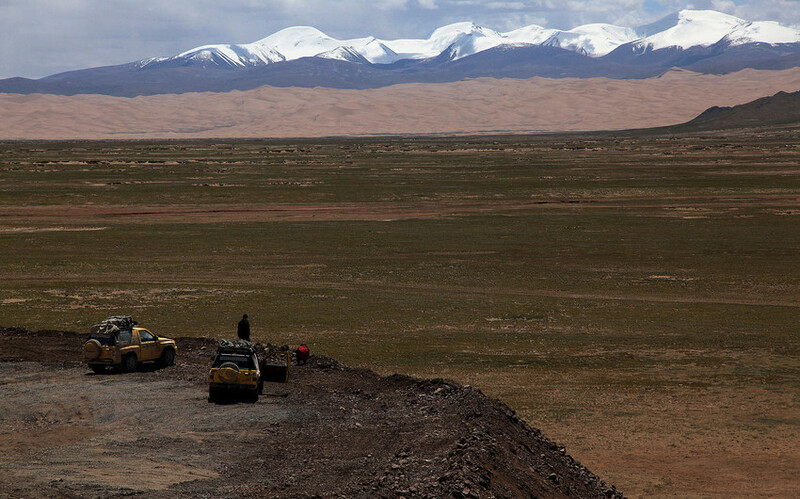 His findings show that glaciers are receding fastest in the Altai range of northern Xinjiang and in the Trans-Himalayas. They have lost 37% and 32% of their glaciers respectively. The glacier area in China’s Qomolangma National Nature Reserve in the Tibet Autonomous Region has shrunk 28% since the 1970s. 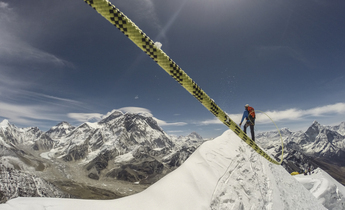 Glaciers on the southern slopes of the mountains, which lie within Nepal, have shrunk by a quarter since the 1980s. In the short term, melting glaciers will increase water flow in rivers and lead to the formation of larger glacier lakes, said Kang. Remote sensing data shows that the area covered by ice lakes within the Qomolangma National Nature Reserve in Tibet increased to 114 square kilometres in 2013, up from 100 square kilometres in 1990. This increases the risk of massive floods. 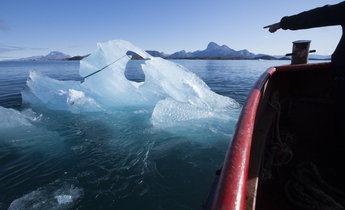 In the long run, melting glaciers will reduce water availability downstream. 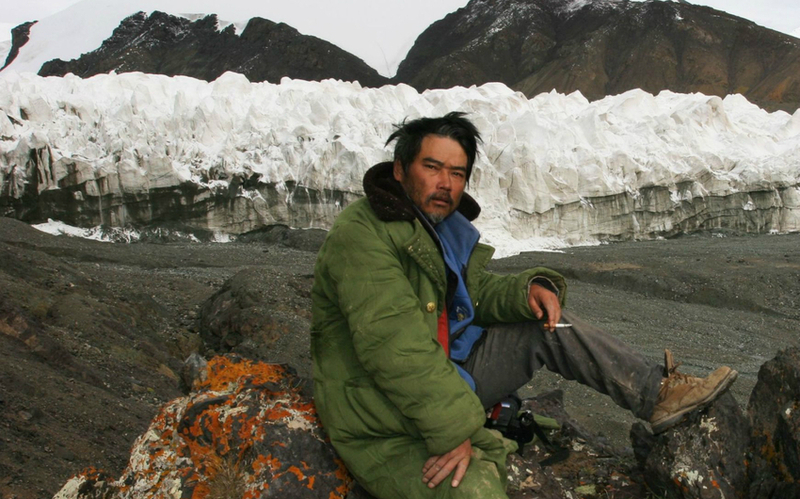 “There will be a short term increase in river flows, but in the long term there will be a reduction as glaciers retreat or disappear,” said Kang. People visited glaciers in China as part of large scale mountain and glacier surveys in the 1950s. As standards of living improved and the tourist industry grew, glacier tourism has become more popular. 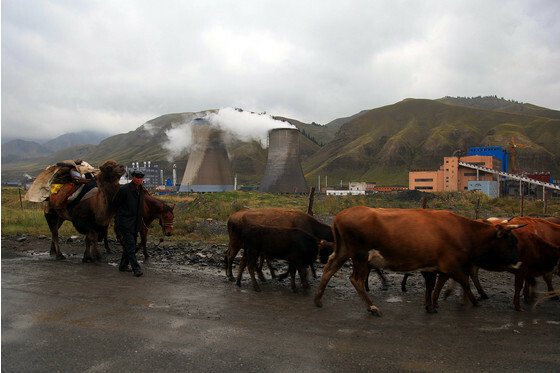 But glacier experts say that the ban imposed in Xinjiang will not be enough. Glaciers are retreating in parts of the world where there are no tourists, pointed out Kang Shichang. “As long as it is well managed, glacier tourism is not a problem,” Kang said. He approves of “glacier viewing” from a distance but is more sceptical of allowing tourists to walk over glaciers. He does not think appropriate activity in glacier regions, such as hiking and skiing, will make glaciers shrink. 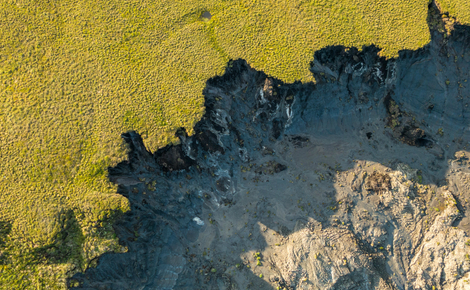 But excessive trips to glaciers, dropping litter as well as construction or mining will have a bigger impact. 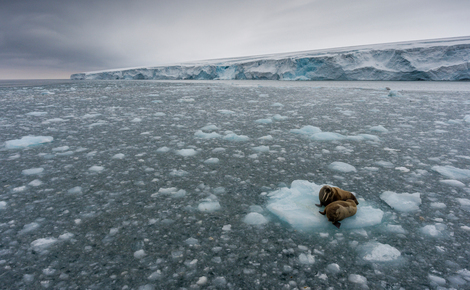 These activities turn a glacier grey, reducing the glacier’s ability to reflect light and so increase melting. 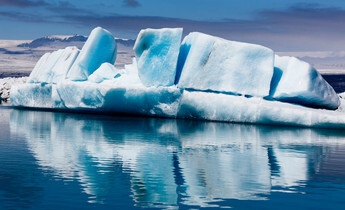 Industrial activities such as mining pose a major threat to glaciers, along with the bottled water companies that are now eyeing up the ice packs. 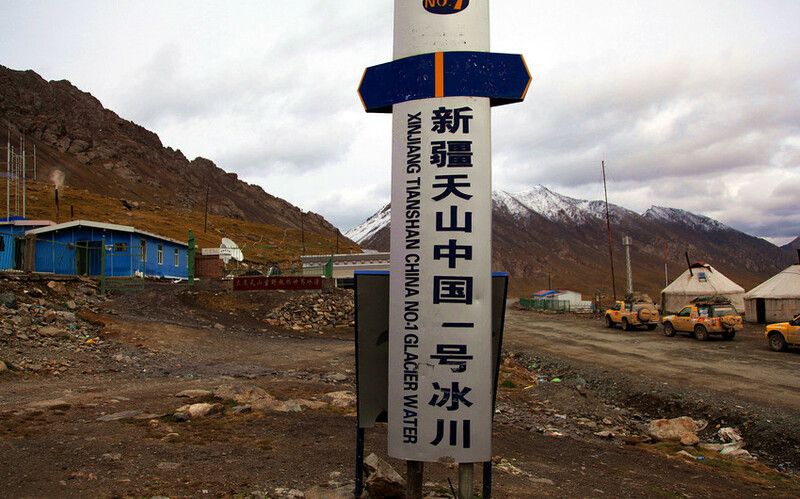 The Gelaixue Glacier Water company is directly tapping Tianshan's “No.1 Glacier”. Local governments across China are encouraging companies to tap glaciers for premium drinking water, even though the environmental stakes are high. Other regions may now follow suit. 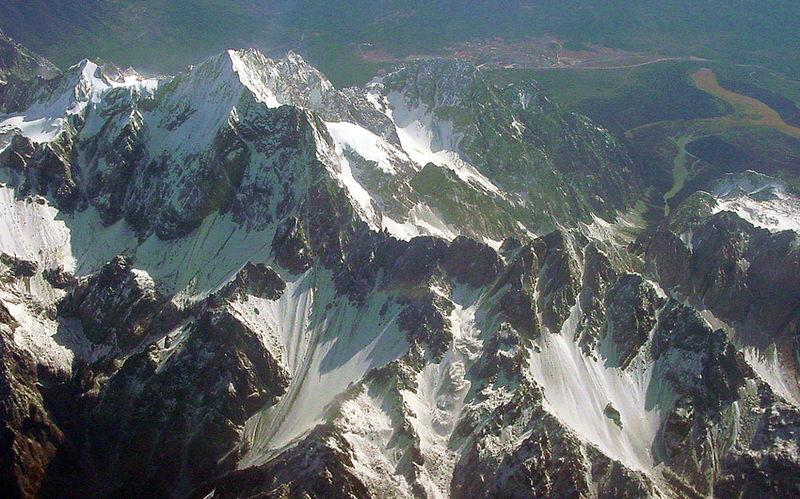 The local government in Yunnan province is considering a tourist ban on the Jade Dragon Snow Mountain where glaciers are melting rapidly as well, said Huang Chengde, head of the Guiyang Public Environment Education Centre, who has just returned from a trip to Yunnan. The mountain is a well-known scenic area and is already crowded despite a daily cap on visitor numbers. The snowline is creeping further up the mountain. 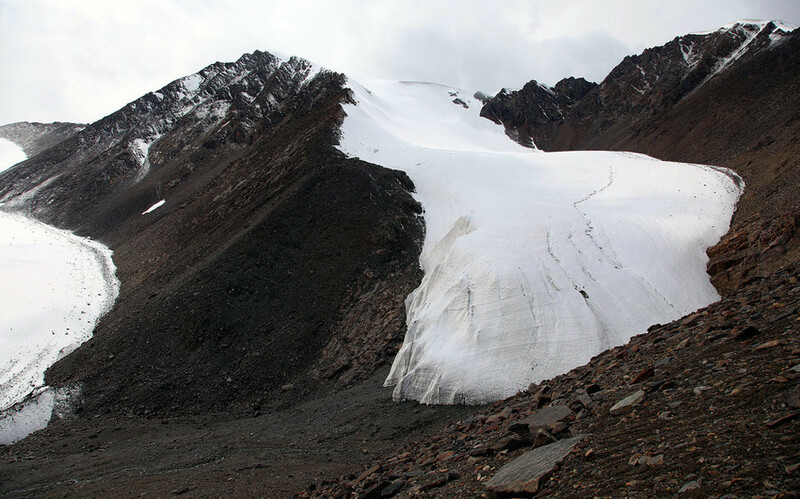 Research by the Kunming branch of the Chinese Academy of Sciences found that glacier melt now makes up only 29% of groundwater in the mountain– meaning the glaciers are shrinking. The mountain sits on the south-east edge of the Qinghai-Tibet plateau, and in 1957 had 19 glaciers covering 11.61 square kilometres. Today there are 13, covering 4.42 square kilometres. 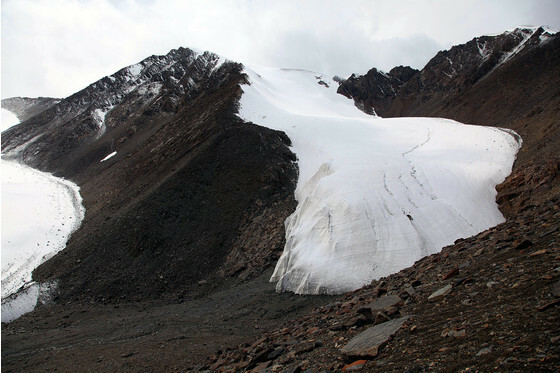 He Yuanqing, head of the Jade Dragon Snow Mountain Research Station, found that since 1982 the largest No.1 glacier region has receded 265 metres up the mountain. At that speed it could disappear completely in the coming decades. 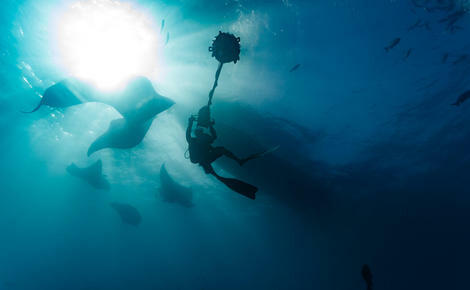 Click here for the full screen version. Sandwiched between a melting glacier and a new dam, residents of Heishui town in northern Sichuan face a changing environment.